Looking for the perfect gift for that special occasion? 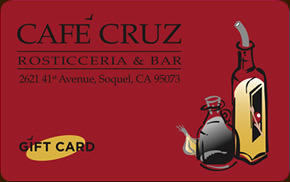 Cafe Cruz offers gift cards! While we do attempt to keep our menus up to date, prices and availability are subject to change without notice.